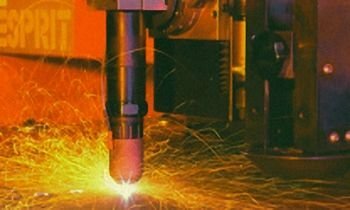 High definition plasma cutting is an extremely high quality cutting system which gives a tight tolerance and almost zero bevel results. Working with your drawings or CAD files we can offer a complete solution to your profiling needs. Plasma is a gas heated to an extremely high temperature and ionised so that it becomes electrically conductive. Plasma arc cutting uses the plasma as an electrode to transfer an electrical arc to the work piece. The heat of the arc melts the work piece and the force of the plasma and shield gases blow away the molten metal to cut the piece.